Want a hairstyle that will make you stand out, but had no time to visit the salon? 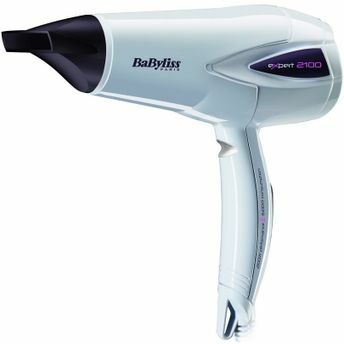 With the BaByliss D322 Hair dryer, you can create stylish hairstyles quickly and conveniently. It is a handy tool with high output and is sleek enough to be carried anywhere. It has two speed and heat settings. It has a drying speed of 75km/hr that can give you perfect hairstyle quickly. The weight is 0.975 kg that makes it a really convenient and sleek product to travel with. It is equipped with a hanging ring and a nozzle. Hair gets fixed quickly with its cool shot function. From hair dryers that let your hair breeze through after emergency hair washes, to the straighteners that can tame your curls into a silky sheen, Babyliss hair appliances are a true blessing for every hair type. BaByliss D322 Hair dryer is the perfect tool to get a party perfect hairstyle. Explore the entire range of Hair Dryers available on Nykaa. Shop more Babyliss products here.You can browse through the complete world of Babyliss Hair Dryers .